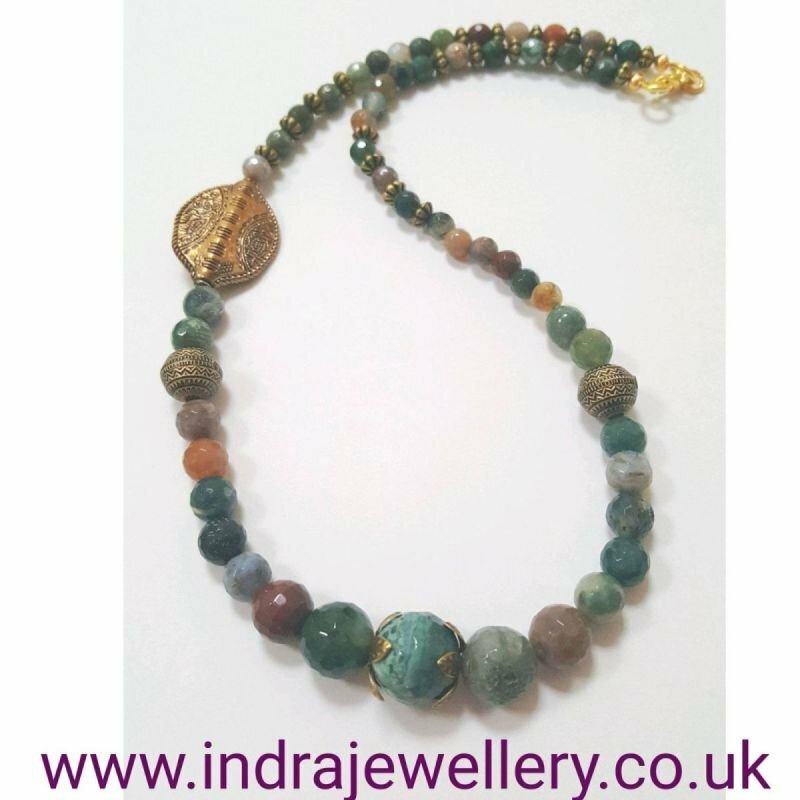 This is a really pretty necklace, The beads are genuine Indian agate which are a mix of green and brown tones, the beads are faceted which gives this necklace a sparkly and unique finish! I have added bronze/gold spacer beads and a focal leaf shaped bead which is offset. The necklace measures 21"
Indian agate is great for increasing relaxation and meditation and it is also a good protection stone warding off bad luck!